At Direct Will Trusts St Austell, we know how difficult writing your will can be. Whether you are in your early twenties or your late eighties, everyone should ensure they have a written will. It is never too late to consider the legal ramifications of creating a will, from division of assets to power of attorney, making a will gives you and your loved ones piece of mind. Contact us today to make an appointment, and together we can help you create a secure future for your family. No one wants to leave their partner with a complex legal issue, but if you are an unmarried couple there is no “common law” equivalent to a legal marriage. Should a person die without a will, their possessions may fall to family whom they have not spoken to for years, rather than the loved one they have resided with for decades. Writing a will removes doubt surrounding your wishes, and lets you leave suitable provision for your partner, giving them security during what will be a very difficult time. Even if you are married, having a written will allows you to determine other gifts that you may wish to leave the rest of your family. From financial trusts for your grandchildren, to leaving a bequest to your favourite charity, and ensuring that Auntie Irene’s necklace goes to your daughter, having a will clearly sets out your wishes for your possessions after you are gone. Having a will helps solicitors and family during times of sudden illness. 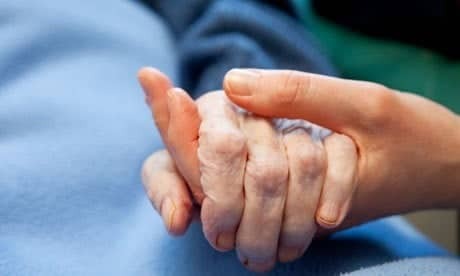 You can appoint a trusted individual to be given “power of attorney”, meaning that should you be incapacitated they can make decisions about your medical care, including any end of life care that you may need. You can also set out any wishes you have for your funeral, and name the people you wish to act as executors of your will, as they will work with your solicitor to make sure that your wishes are followed promptly and appropriately. Although legal provision is made for people who pass away without writing a will, the laws around “intestacy” are complex, and can lead to months of anxiety for family members. Contact Direct Will Trusts St Austell today, and we can help you take the first steps to stopping that anxiety. Why Use Direct Will Trusts? We have many years experience in writing wills covering all manner of circumstances. We are a nationwide company, so whether you are living in John O’ Groats, or Lands End, we can help you with your will writing. Along with ensuring that your will is legally acceptable, we can also advise on inheritance tax laws and how your estate will be affected by them, and the creation of asset protection trusts. We can also store your will on site, so you don’t have to worry about keeping it at home. Making a will something some of us do not want to think about; however, if you do not take the time to fill in a will then your worldly possessions will be distributed according to a law dating back to 1925. Under this law you are not always assured that your spouse or civil partner will inherit your property – you simply cannot leave this to chance. Making a Will ensures that your affairs, after your passing, will not have to sorted out by those saddening and distraught by your passing. Making a will is a more constructive and cheaper option. Anyone can make a will, from the elderly to very small children and it is something every individual should consider. But, it is something we rarely get down to. A Will is something you need to do now in order to safeguard your property and the possessions you have worked to hard to get. Our Will writers deliver a personalised and efficient service to our clients. A Will is a legal document where you name one or more recipients, who will keep your affairs in order after you’ve passed away. Furthermore, it sets out who is entitled to your property and you possessions after death. Call or email us any day of the week, and we will help you make the best provision for your family.